Fenugreek is famous as Kasuri Methi all over the world due to its unique fragrance and quality which only belongs to city Kasur (PAKISTAN). 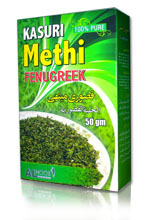 Methi (Fenugreek) is used as vegetable in various eatables. Fresh Methi herb does not contain any smell but after drying, it becomes fragrant and possesses a specific type low grade smell. Today, Fenugreek (Kasuri Methi) it is used for diabetes and loss of appetite and to stimulate milk production in breastfeeding women. It is also applied to the skin to treat inflammation. Kasuri Methi leaves are also used as a condiment for flavoring and giving special delicious taste. Steaming is considered the best method of cooking leaves; in this the vitamins are retained and the vegetable become palatable. The dried leaves can be composed to pulses for their protein content. They supplement the lysine-deficient cereal diets. They have an aromatic odor and agreeable spicy taste. Kasuri Methi leaves is an important ingredient of curry powder and juicy and fry vegetables . AL-NOOR FOODS is a renowned name in the world of foods, we are exporters & suppliers of a varied range of naturally grown Vegetables & Fruits, Herbs & Herbal Products, Salt and Seeds, especially in spices. In the business of spices, we have structured a root level collection of herbs and spices across the length and breath of Pakistan. Although we have a variety of spices, but our major product Fenugreek, known as KASURI METHI is famous all over the world due to its fragrance and quality which belongs to city Kasur (Pakistan). As we are a reputed producer and processor of top quality Dry Fenugreek (Kasuri Methi), thus quality has been the overriding factor of our success. Our first and foremost consideration is to achieve and provide unmatched quality standards. No wonder the company has gained immense reputation among its esteemed customers because our Products are grown up & processed under superb hygienic conditions charged with qualified & experienced hands. We take utmost care to ensure that we employ latest manufacturing & packaging technologies. Every product that we export and supply is available in standard and hygienic packaging, thus helping in preserving the natural taste, flavor, and fragrance of each product for longer periods of time. At every stage, we pay keen attention to the standard quality norms and ensure the supply of flawless products to end users for their utmost satisfaction. The company's major export destinations are centered in various countries of the world. 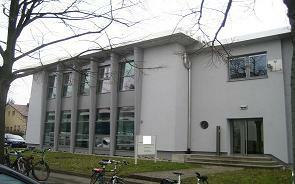 The mission of the company is to achieve substantial addition in its client base. Therefore, the price of every product is kept nominal and the delivery mechanism is ensured to be prompt and punctual. The workforce of the company includes a team of well-qualified R&D staff, quality personnel, supervisors, marketing professionals and other skilled workers. The packaging and warehousing departments of the company are built in tandem with the latest technological systems in the field of hygienic packaging standard and storage. We aim to facilitate our clients with healthy and quality rich Spices, Vegetables & Fruits, Herbs & Herbal Products, Salt etc. and take all imperative actions in this regard at all times. Copyright © Al-Noor Foods. All Rights Reserved.